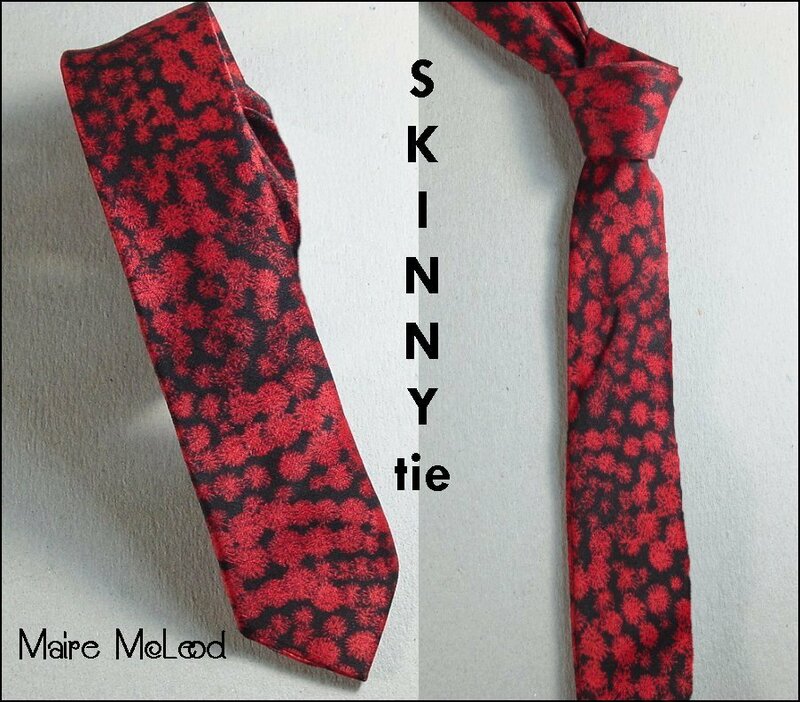 The skinny necktie is a men’s tie that has a width of 1.5-2.5 inches. It is a fashion accessory that was first introduced in the late 1960s, and although skinny ties are highly fashionable and season specific, they are clothing accessories that any man should have in his closet. Below are tips you should follow when thinking about adding a skinny necktie to your ensemble. Taking cue from styles of the 1950s and early 1960s (and even 1980s), skinny ties are once again the hottest men's fashion accessory this year. Given the trend factor of this slender tie style, questions arise about how to properly wear a skinny tie, from appropriate occasions, to how to tie it, and even where to buy them. This guide will answer the mysteries of the skinny tie and help you achieve the skinny tie (aka slim tie, thin tie, narrow tie) look. Though skinny ties can be found in 2-inch to 3-inch widths, the average and most popular width of a skinny tie in 2012 is anywhere from 1.5-inches to 2.5-inches wide. Going skinnier provides a more retro look, while going wider creates a more traditional look. Like traditional-width ties, the standard length for a man's skinny tie is about 57 inches, give or take an inch depending upon the manufacturer. When properly fitted, the tip of the skinny tie should fall near the belt line when tied, extending no more than one inch below or three inches above the belt. Skinny ties can be worn for both formal and casual occasions. For a formal look, pair a skinny tie (solid black being the most popular) with a fitted dress shirt that has a smaller sized collar. Steer clear of over-sized, box-like suits or dress shirts (think 1990s) when wearing a skinny tie. Because of the slenderness of skinny ties, coordinating attire should be properly fitted to create a cohesive look. If you're not planning to wear a suit or jacket, the hottest formal look we're seeing is the pairing of a bright, solid color skinny tie with a black dress shirt. The tie will pop against the shirt and create a bold statement. To achieve this look, some of our recommendations for tie colors include Red, Fuchsia, Miami Rose Pink, Hot Pink, Shocking Violet, Plum Violet, Purple, Royal Blue, Peacock Blue, Turquoise, Tropical Blue, Hot Lime Green, Gold, Golden Yellow, Yellow or White. If a black dress shirt isn't your thing, pair your skinny tie with a shirt color that is lighter than the necktie for a dashing look. For a casual look, still wear a collared shirt with your skinny tie. 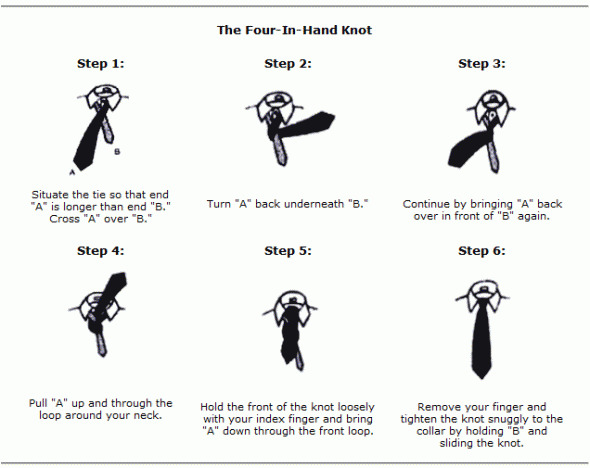 However, the tie knot can be either knotted tightly or left loose. Roll up shirt sleeves and pair with a vest for a well-dressed, casual look. Skinny knit ties are especially popular when it comes to casual looks. Fashion forward grooms are increasingly dressing their marriage party in skinny ties, especially in solid colors. For a sharp look, mix and match bright solid color skinny ties among the groomsmen. Wearing a skinny tie for work is entirely dependent upon the work environment. For a more casual work environment, the skinny tie can be worn. If you want to wear a skinny tie in a more formal work environment, it is best to choose a narrow 3-inch width or slim 2.75-inch width. When wearing a skinny tie, it is important not to overpower the slender width with too large or chunky of a knot. Skinny ties instead require a small-knot style, which can be achieved with either the four-in-hand knot or half-Windsor knot. The four-in-hand knot is the most common of knots used with skinny ties and our recommendation for a trendy look. It provides a narrow and asymmetrical knot. 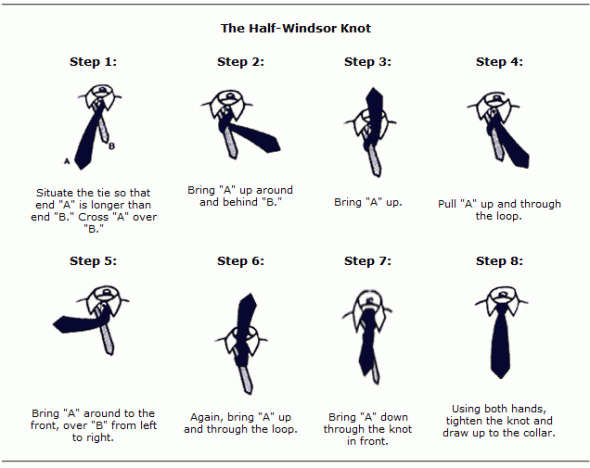 For a cleaner and triangular knot, use the half-Windsor. This provides a larger knot than the four-in-hand, but it is still small enough to use with most skinny ties. Use caution if using this knot with ties slimmer than 2-inch wide though (such as with 1-inch or 1.5-inch ties). The half-Windsor knot is on the edge of being too large and too formal for ties of this width. Use the image below to replicate either of these knot options. 2. Skinny ties look best with 1 or 2 button suit or blazer jackets. 3. Don't wear a dress shirt with a wide spread collar when wearing skinny ties. The best shirts collars have a medium to narrow collar spread. Also, button down collars are less suited for narrow neckties. 4. Match the narrow tie with a smaller, slightly asymmetric tie knot. A perfect tie knot is the so called four in Hand knot. 5. Skinny ties look best on slim men. Stocky and overweight men should stay away from narrow ties as they will add even more pounds to the frame. 6. Keep the patterns and colors simple and modern. Traditional patterns such as Regimental stripes, paisleys, and polka dots are less suited for skinny ties. Best are solid colors, knitted skinny ties, and modern stripes, as well as checks of all sorts. 7. Add a tie clip! A simple tie clip in polished silver or gold will be a perfect accessory for the skinny tie. Tips to wear Skinny Ties for the first timers.